I love India as the birthplace of the highest and best of all religions as the country that has the grandest mountains the Himalayas. The country where the homes are simple where domestic happiness is most to be found and where the women unselfishly unobtrusively ungrudgingly serve the dear ones from early morn to dewy eve. 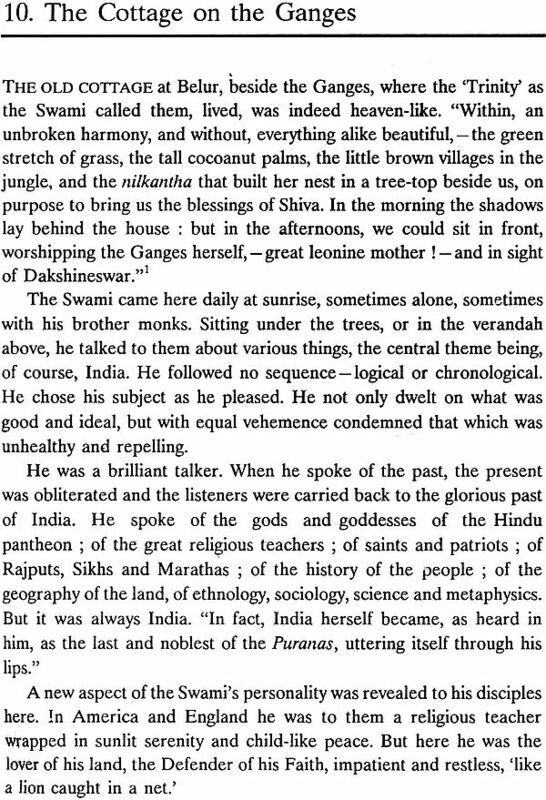 "India is, above all others, the land of great women. Wherever we turn, whether to history or literature, we are met on every hand by those figures, whose strength she mothered and recognised, while she keeps their memory eternally sacred. "What is the type of woman we most admire? Is she strong, resourceful, inspired, fit for moments of crisis? Have we not Padmini of Cheetore, Chand Bibi, Jhansi Rani? Is she saintly, a poet, and a mystic? Is there not Meera Bai? Is she the queen, great in administration? Where is Rani Bhowani, where Ahalya Bai, where Jahnabi of Mymensingh? Is it wifehood in which we deem that woman shines brightest? What of Sati, of Savitri, of the ever glorious Sita? Is it in maidenhood? There is Uma. And where in all the womanhood of the world, shall be found another as grand as Gandhari?" Swami Vivekananda felt keenly that there was no chance for the welfare of the country unless the condition of women was improved, just as he used to say, "It is not possible for a bird to fly on only one wing." So he paid great attention to the uplift of women in India in his scheme for the regeneration of the nation. 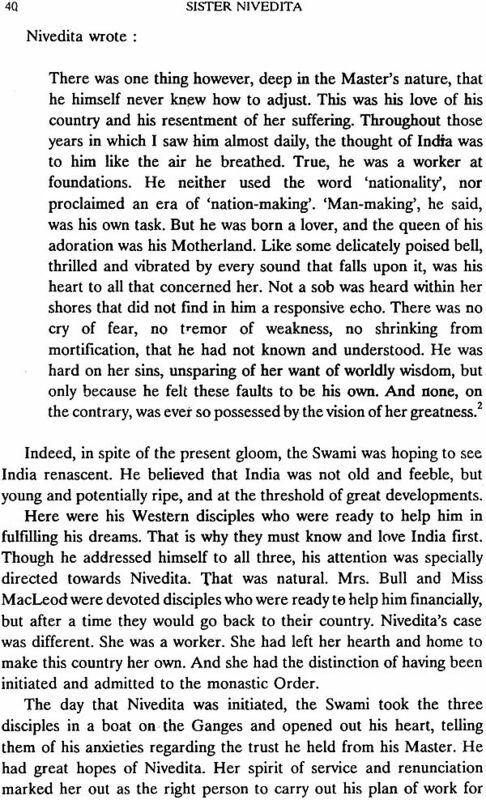 At that time he could not find any woman in this country who could shoulder this responsibility and so his choice fell upon Sister Nivedita, then Miss Margaret E.Noble. 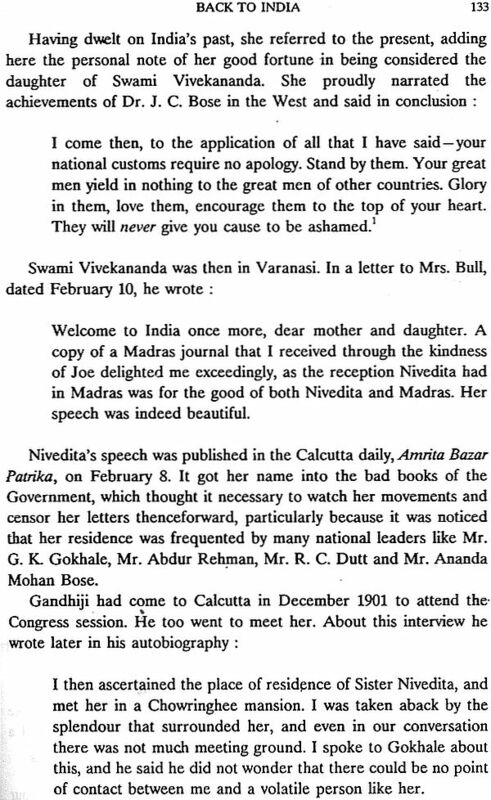 He wrote to her, "Let me tell you frankly that I am now convinced that you have a great future in the work for India. What was wanted was not a man but a woman, a real lioness, to work for the Indians, women especially." 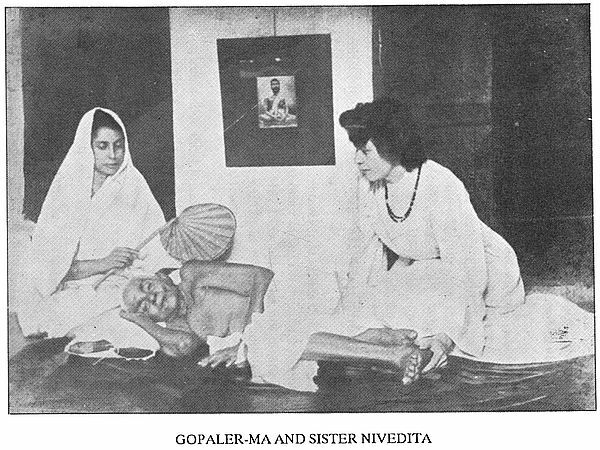 Sister Nivedita responded to this call of her Guru and fulfilled his expectations to the letter and spirit by her life and work which is faithfully related in the following pages. May this book inspire hundreds of educated young women of our country to dedicate their lives to the uplift of their sisters and thereby fulfil Swamiji's dream of a resurgent India. 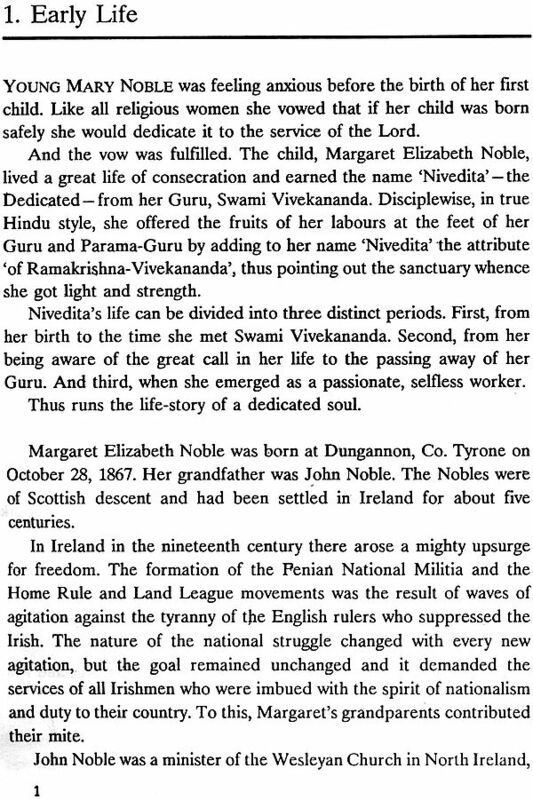 A Daughter of Ireland, Miss Margaret Elizabeth Noble, later known as Sister Nivedita, came to India in 1898 and having adopted it as her own country, breathed her last on its sacred soil in 1911. Many tributes were paid to the hallowed memory of Sister Nivedita on her death. But the best homage would have been to tell the story of her life of years of crushing toil for the good of this land. In this we have failed in our duty. Of late some biographies in English and Bengali have appeared but they fail to give a historically correct picture of her life. 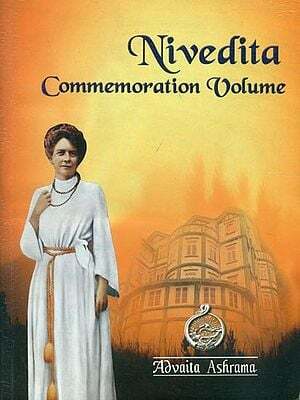 Conscious of this lapse on our part, the authorities of the Ramakrishna Mission Sister Nivedita Girls' School, while celebrating its Golden Jubilee in ~952, decided to bring out a biography of Sister Nivedita in English and Bengali. The biography in Bengali was written by Pravrajika Muktiprana of Sri Sarada Math and was published in 1959. 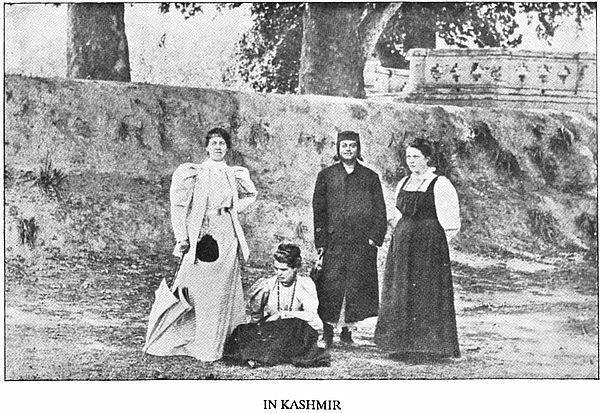 The source-material for the book was mainly Sister Nivedita's own works, letters and diaries, and references made to her by some of her eminent contemporaries. Efforts were aslo made to contact persons who had worked with her in some field of activity or other and her own students. 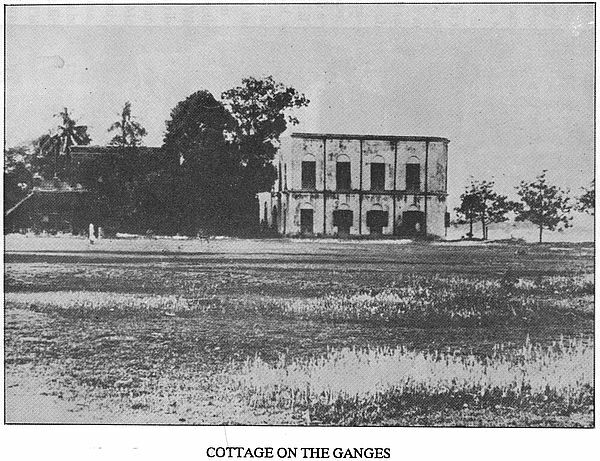 The serious study of her life written with historical accuracy soon attracted the attention of the Bengali literati and was well received by the Bengali reading public. Though not a translation, the same plan and classification of matter have been followed in the present book. Efforts have been made as far as possible to quote from the original writings of Sister Nivedita or paraphrase them, so that her personality may live and breathe through the book. Since the writing of the book was undertaken the interest taken in it by His Holiness Srimat Swami Sankaranandaji, the President of the Ramakrishna Math and Mission, has greatly inspired us. Besides, his unbounded kindness in writing the Foreword to this book has come as a blessing to us. We thank Sri Nandalal Bose, the renowned artist for his line sketch of sister Nivedita’s room and also the udbodhan office and the Advaita Ahshrama for lending the blocks. We also record our deep obligation to the Libration of the National Library Alipore Sri B.S. Kesavan for his kind help in making Available to us old newspaper and Magazines. We are happy to present before the public the revised second edition of this book in the birth centenary year of sister Nivedita. Some necessary additions and alteration have been made in this edition. 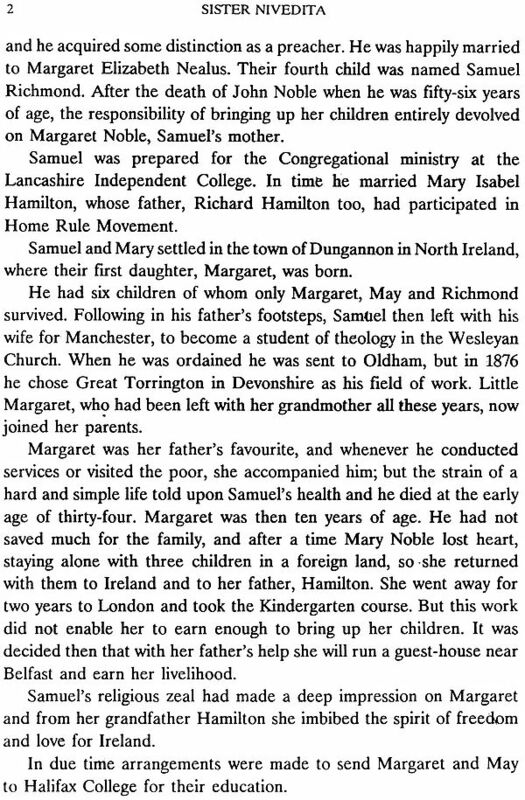 Reference to quotations have been given at the end of the book. We hope this new feature useful to the reading public. 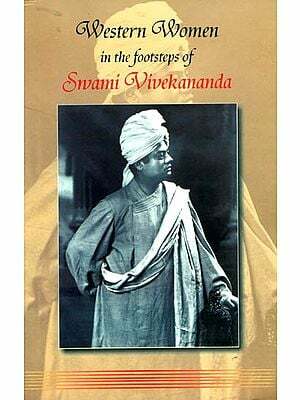 Sister Nivedita of Ramakrishna-Vivekananda was first published in 1961. Slightly revised in its second edition in 1967, it passed through its third edition unaltered. In the meantime, many books on Sister Nivedita were published which has made the writer revise this edition. The most important of these books are the two volumes of the Letters of Sister Nivedita published in 1982 by Sankari Prasad Basu. He bad eight hundred and odd original letters with him. 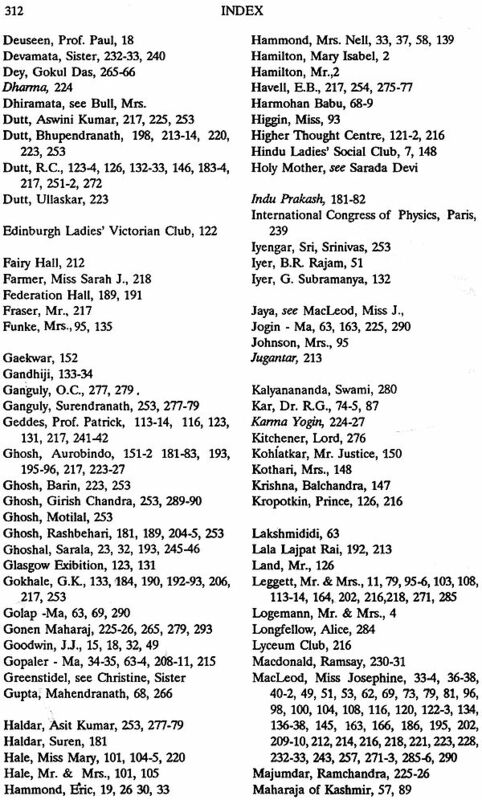 More than half the number of letters are written to Miss Josephine Macleod. 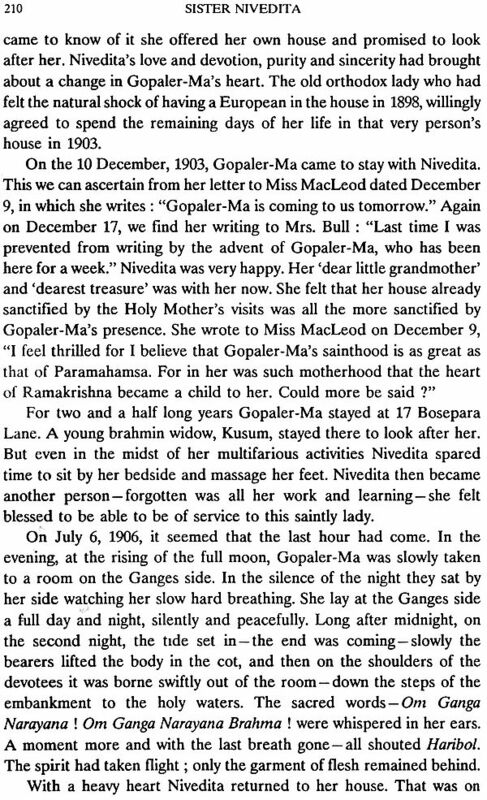 She handed them over to Lizelle Reymond who was then writing Sister Nivedita's biography in French. All the other letters are from the Reymond collection with S. P. Basu. After Lizelle Reymond's book was published she handed the letters to Sri Anirvan of Calcutta, who gave them to S. P. Basu for publication. I have not had the opportunity to see the original letters, but had with me typed copies of about four hundred letters kindly given to me by Swami Vireswarananda, the tenth President of the Ramakrishna Math and Mission; Belur. We are grateful to S. P. Basu for publishing these letters. 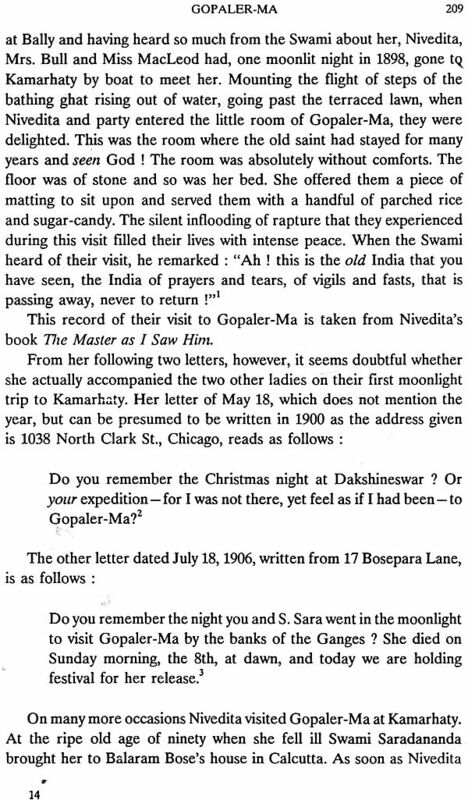 These letters vibrant with her thoughts and feelings cast a lot of light on the versatile genius of Nivedita. I have made ample use of them in revising this edition. 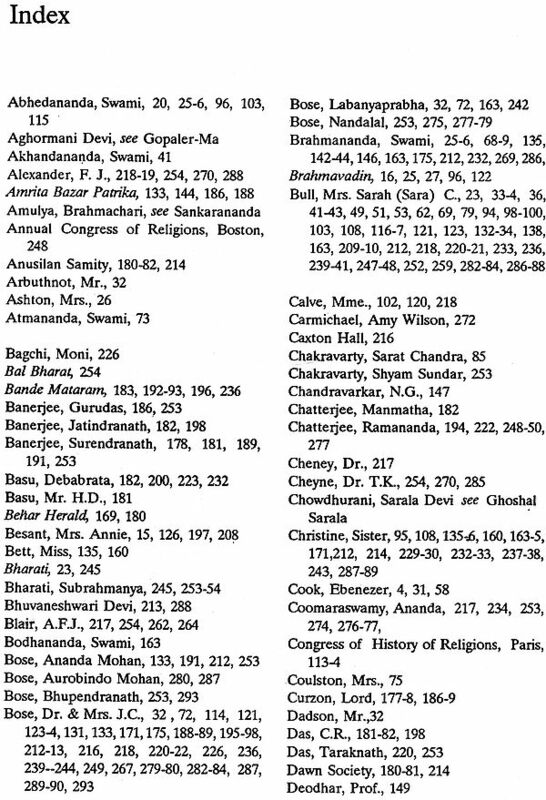 For ready reference the letters quoted are given the page numbers of the printed volumes. 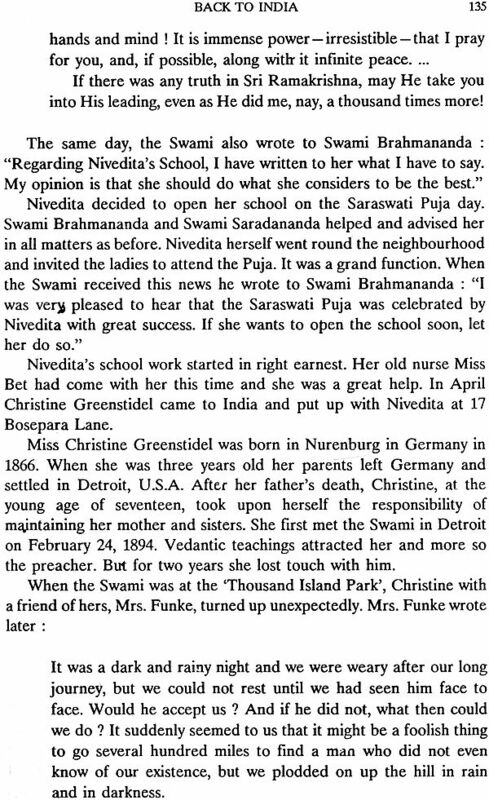 In 1975, Barbara Fox published a biography of Sister Nivedita from London. She entitled it Long Journey Home. 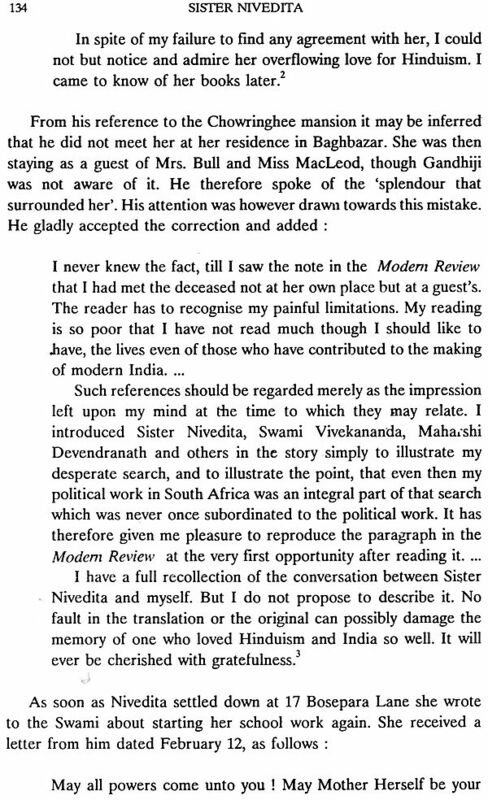 Her express desire was to assess Nivedita's work from an English woman's point of view, and she has done it creditably. 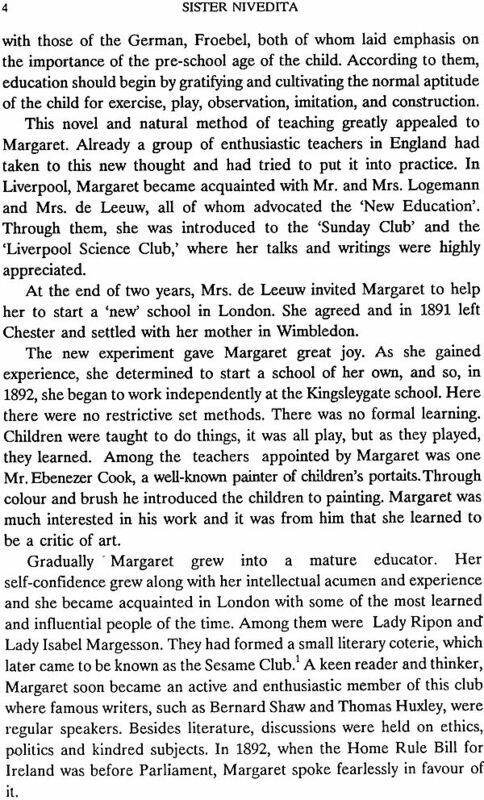 But it has not been referred to in this edition as she mentions at the outset that, "For the framework of the facts of Margaret Noble's life I have relied upon the careful and accurate account written by Pravrajika Atmaprana." Three more volumes in Bengali, entitled Nivedita Lokmata were written and published by S. P. Basu in 1968,1987 and 1988 respectively. He has spared no pains to go through all available contemporary writings - books, magazines and newspapers. His books are therefore profusely documented, but one cannot agree with all his opinions and , inferences. 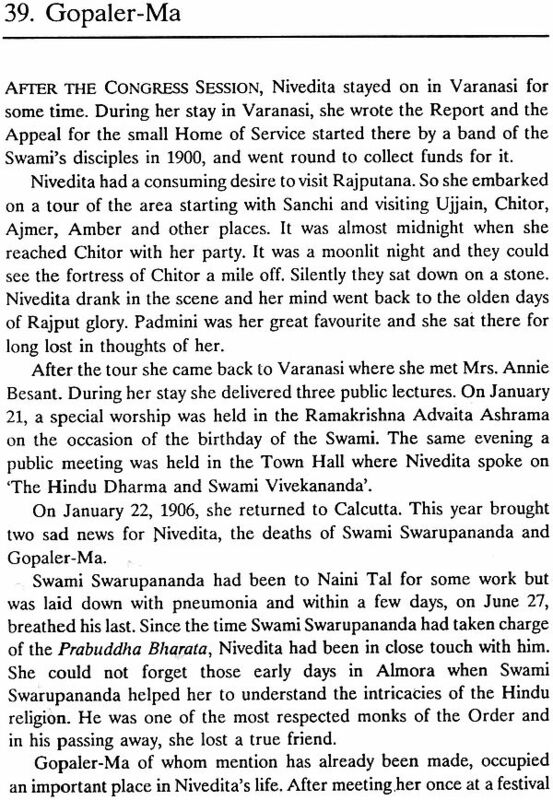 for example, on Sister Nivedita's involvement in political activities. This fourth edition of the biography has maintained its characteristic of being a simple life-story of the humanitarian who deeply understood India and swore that "humanity is mind, not body; soul not flesh." 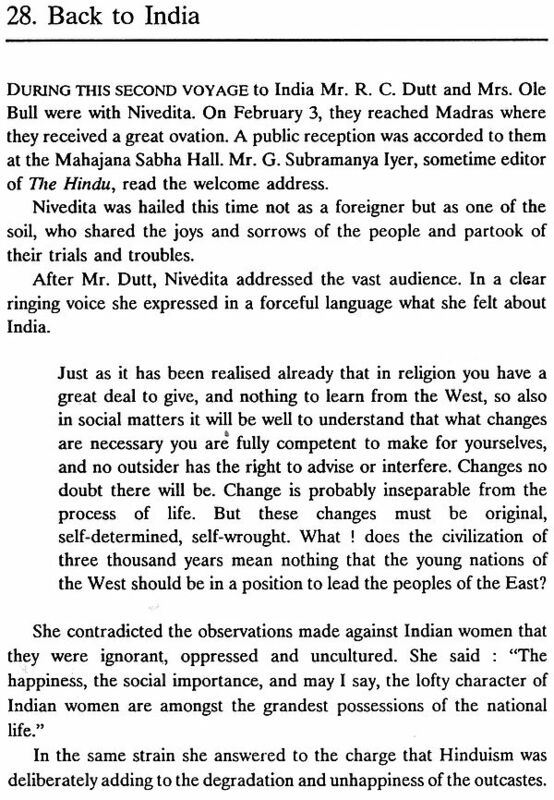 Her dedicated services to India have been dealt with in this author's20ther book, My India, My People-Sister Nivedita, hence no more details have been enlarged upon in this edition.